The ring will be auctioned on June 7 and is expected to fetch between 250,000 pounds and 350,000 pounds. Sotheby's said the owner came forward in the past few months seeking a valuation. London: A diamond ring bought for next to nothing in a London junk sale is expected to fetch up to 350,000 pounds ($455,000, 405,000 euros), Sotheby's auction house said on Monday. 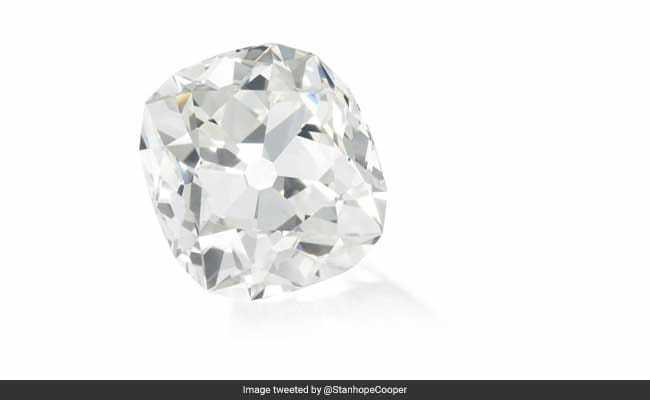 The owner bought the 26-carat, white diamond ring for 10 pounds in the 1980s and wore it while doing shopping and chores, thinking it was costume jewellery, Sotheby's said. "The owner would wear it out shopping, wear it day-to-day. It's a good-looking ring," said Jessica Wyndham, head of Sotheby's London jewellery department. "No one had any idea it had any intrinsic value at all. "The majority of us can't even begin to dream of owning a diamond that large." The diamond is thought to have been cut in the 19th century, when the style was to cut to conserve the weight rather than to make it as sparkly as possible, hence its relatively dull brilliance. "It could trick people into thinking it's not a genuine stone," said Wyndham. She said the owner, who does not want to be named, brought the ring in after a jeweller told them it could be worth something. She said the owner was "incredibly excited. Anyone would be in this position: it's a life-changing amount of money. "This is a one-off windfall, an amazing find." "Much to the owner's surprise, the ring turned out to be a genuine cushion-shaped diamond weighing 26.27 carats with an attractive colour grade of I and impressive clarity grade of VVS2," the auctioneers said. The clarity grade "Very, very slightly included 2" is the fourth-highest out of 11, while a colour grading of I means it is near colourless, on the scale from D to Z.